Malta is a small island with a character all of its own, between Sicily, Tunisia and Libya. It was part of the Commonwealth until 1974 so both English and Maltese are spoken. Driving on the left, the size of the island and the lack of language barrier make it a really easy place to travel abroad as a family. 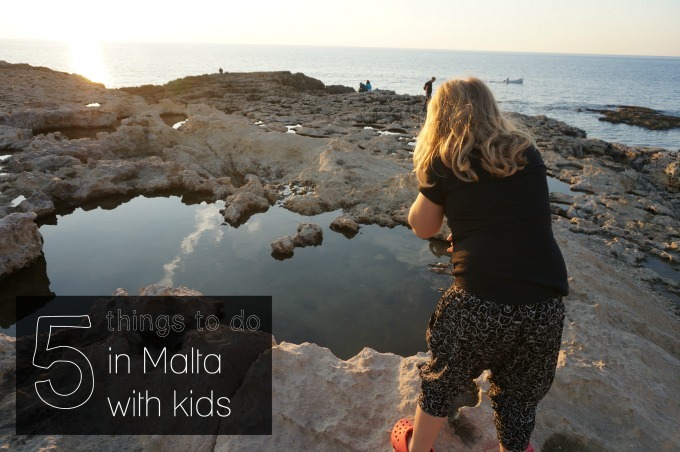 Malta becomes very hot and densely populated in high season, but is perfect for an Easter or half term break. As October turned to November the temperature was still 23, rising to 28 some days. Visit one of 3 UNESCO World Heritage Sites The Maltese Islands have three sites on the UNESCO World Heritage List. 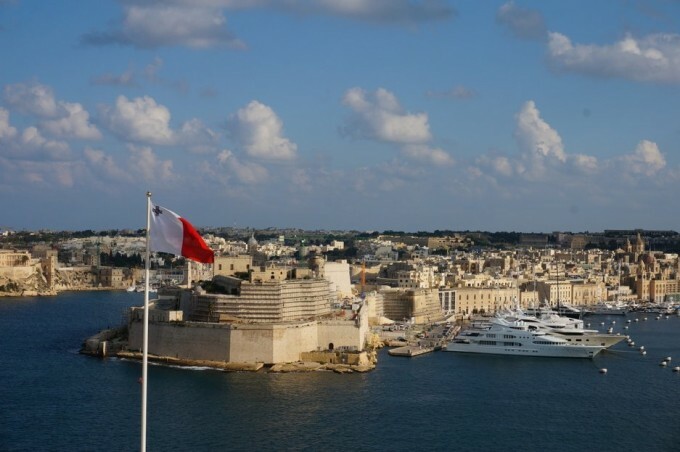 These are the City of Valletta, the Megalithic Temples and the Ħal Saflieni Hypogeum. Only the Hypogeum is restricted to children under 6. Seven megalithic temples are found on the islands of Malta and Gozo, each the result of an individual development, they are utterly awe inspiring. 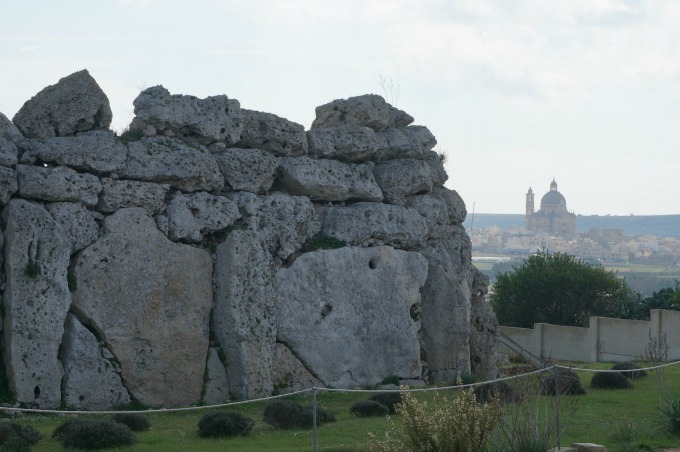 The Ġgantija Temples are the oldest, free-standing monuments in the world and are older than Stone Henge and a 1000 years older than the Egyptian pyramids. Valetta is an incredible city to explore. We arrived from the harbour on the Upper Barrakka Lift, the 25 second journey, over 58 metres was pretty amazing and landed us inside the city walls, with stunning views of the port, and just in time for the daily firing of the canon. Swim The sheltered bays in Malta make for particularly safe swimming. The water is very clear, shallow and the beach sandy. 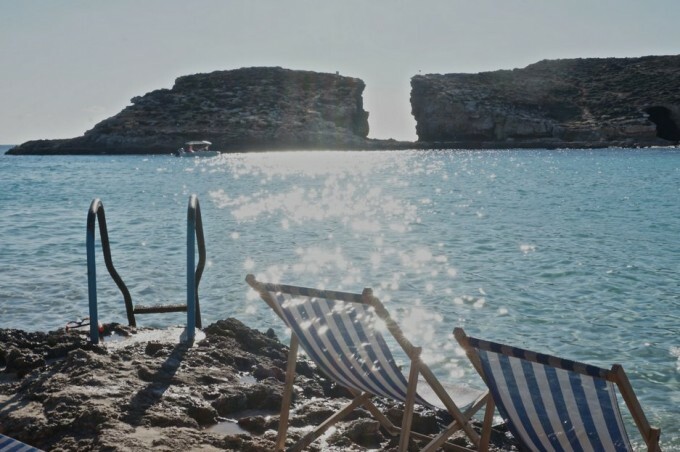 One of the most sheltered bays, Mellieha is particularly well known for being family friendly, with plenty of amenities, sandy shores and rock pools to the sides of the bay. Jellyfish can be an issue, but there is a jelly map you can check out to find out which beaches are coded green – no rough sea, no jelly fish. Under 10 km from Mellieha, is the port of Cirkewwa, from here a boat trip to the Blue Lagoon on the uninhabited island of Comino is a fun adventure. It gets busy and there is limited space on the beach, so go early, or late in the day, or out of high season, or better still take a walk and explore the island itself. Cirkewwa also has ferries to Gozo. Comino trip €10 per adult, €5 euros per day for a return boat trip. Gozo A day trip to Gozo is another great adventure. The Azure Window is a magical place, the rocky path to the coast is white and jam packed with rocks, puddles and fossils. The window itself, a natural limestone arch is an amazing sight. 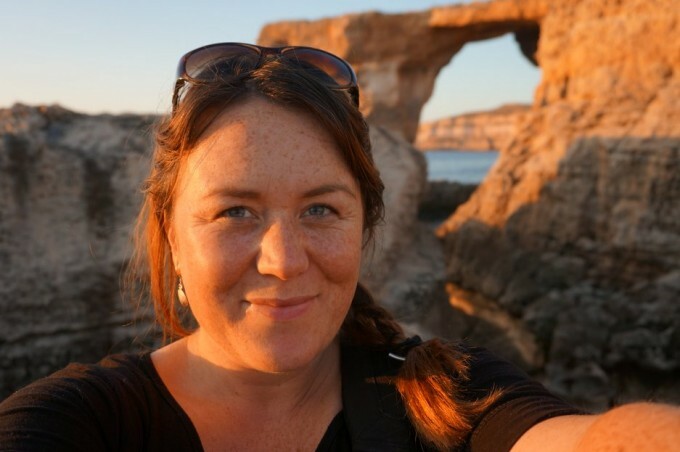 You can take a boat trip through the caves in the cliffs, and around the coast to see the Azure window and spot ‘faces’ and even ‘crocodile shapes’ in the rocks. Gozo Ferry The car and passenger ferry takes 25 minutes, and cost €22.65 for a car with two adults and two children. Azure Window boat trip €4 per person. Playmobil Factory and Fun Park We didn’t get to test this attraction, the weather was too good, but if it does rain, a tour of the Playmobil factory could be a great day trip. There is also lots of space to play with Playmobil in the fun park, and a shop. Factory Tour – Monday to Thursday, 10.30am and 2.30pm. Friday 11.30am. Takes 45 minutes and will cost you €8.20 per person. Admission includes free refreshments in the café, entry to the FunPark, a small memento of the visit and a 10% discount voucher for the shop. Children under 5 years are not allowed to enter the factory due to safety rules but can enter the FunPark playing area for the price of 2.35 EUR. 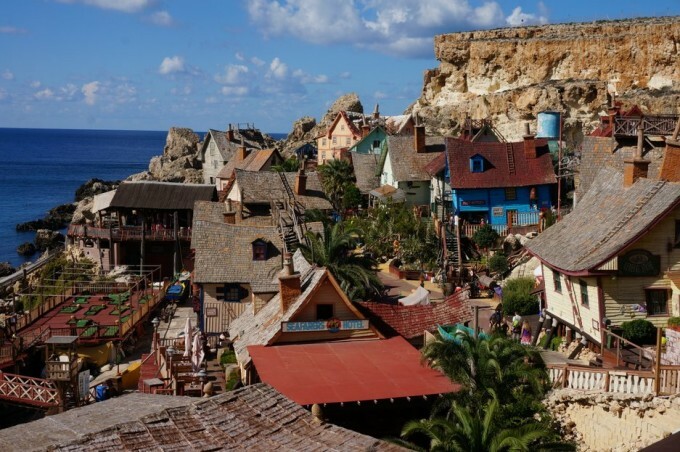 Popeye Village The film set from the 1980 film starring Robin Williams, has been left as a tourist attraction. This attraction gets mixed reviews, but we had fun, we went on Halloween, and the actors went out of their way to engage with us and although we didn’t have time, lots of families were enjoying making a movie on set with the very energetic actors. The wooden houses of Sweethaven are a fun, if slightly ramshackle place for children and their grown ups to explore. Some of the homes have trap door escapes, are tree houses or have look out towers over the bay. It is a beautiful setting and a boat trip and sun loungers and swimming is included in the price. Winter Prices – 16th October – 26th May Adults : € 10.00 Children : € 08.00. Penny and family travelled to Mellieha, Malta late October/Early November with James Villas, her full Malta experience is over at parentshaped.co.uk. Hi, thank you for your post! We are thinking of going with our family in April and would love to be close to a beach. Do u have a suggestion of a town or area to stay in?